Irfan Shamji, Equity president Maureen Beattie, and Michelle Fairley at the Clarence Derwent Awards. 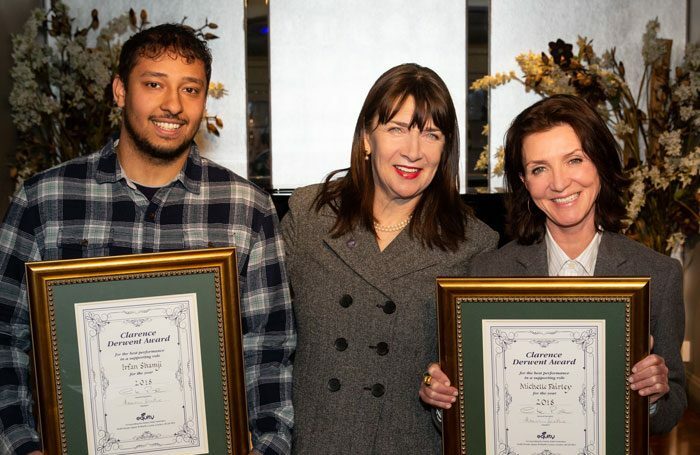 Michelle Fairley and Irfan Shamji are the winners of this year’s Clarence Derwent awards. The awards, from union Equity, honour best supporting performances in London productions. Fairley won for her portrayal of Cassius in Julius Caesar at the Bridge Theatre, while Shamji was presented his for three performances: as Harry, in the Mayfly at the Orange Tree in Richmond, John in One for Sorrow at the Royal Court and Luke in Dance Nation at the Almeida. She said Cassius “was always woman to me”. She continued that she was “delighted” to be in an era where women can play parts written as men. “In Shakespeare’s day the guys got the chance to play the women, so why can’t the women in this day and age get a chance to play the guys. It works seamlessly. In Julius Caesar is was never an issue,” she said, adding that she would like to see more. The Clarence Derwent awards have been presented by Equity to one actor and one actress since their introduction in 1948 – with previous winners including Imelda Staunton, Ian McKellen and Judi Dench. Shamji bought his former drama teacher with him to the awards. They were founded by British actor Clarence Derwent “because he thought there was a whole range of actors who were not appreciated”. Last year, the awards went to Peter Polycarpou, Sheila Atim, Jonjo O’Neill, and Kate O’Flynn. 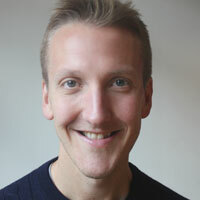 Producer Thelma Holt, critics Kate Bassett, Susannah Clapp, Matt Trueman, Equity vice president Ian Barritt and director Jonathan Munby were judges for this year’s awards. Equity has also presented its student and young member bursaries. The four bursaries, each £500, were created as part of the union’s 75th anniversary year celebration and are funded from donations from Equity life members. The student awards went to Elizabeth Hammerton, studying at LAMDA, and Vincent Rosec studying at East 15. The young member bursaries were presented to Jonny Grundy, a circus artist, and Constance Wookey, who is using the money to take a show to the Edinburgh Fringe.